The IOTA Trinity Wallet is out now for Android, IOS, Mac, Linux and PC. For the IOS version it is necessary to download the Testflight app first since Trinity is in open Beta. Just download / install the app and you are ready to go. The desktop version provides the same features as the app for IOS and Android plus some additional features like hardwallet compatibility. Important! 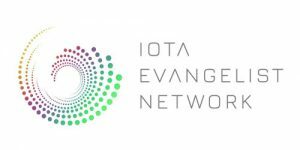 : Make sure only to use the original IOTA wallet by the IOTA foundation. 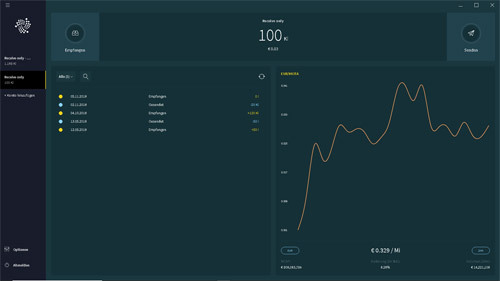 Only use links/downloads that are provided by https://trinity.iota.org/ otherwise you risk to lose your funds!! The Wallet is designed to be as simple as possible to use. 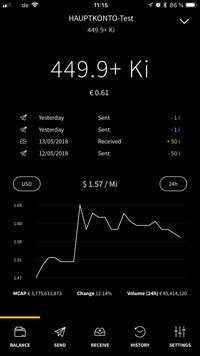 The intuitive app with its design and features makes it easy to use – even for people that are totally new to crypto. You can send and receive IOTA and even attach messages. Scan the QR-code and you can pay with IOTA for example. Create multiple accounts to keep track of all your funds. The desktop version provides all the same features + you can connect your Ledger Nano S or Ledger Nano X with it. 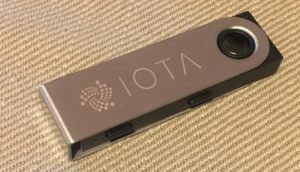 So you can store your IOTA safely on this device. There are so many things to discover in the IOTA Trinity Wallet!